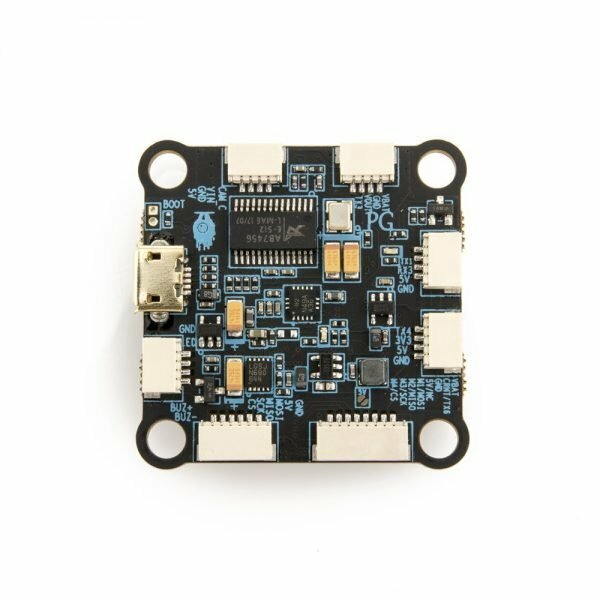 The FlightOne RevoltOSD flight controller is the most advanced, performance driven, flight controller ever designed. The Revolt uses a powerful F405 MPU, accompanied with the High Speed Invensense 20602 gyro, allows it to take full advantage of FlightOnes efficient code to run at 32KHz for the best Performance possible. Building on the success of the Skitzo Revolt, we have created the next iteration in flight controllers. Designed to add all the features customers have been asking for, as well as some new ideas. Builds now take 1/10th the time, due to the easy connector system. However, you still have the ability to direct solder, if you prefer. Flight controller now accepts full LIPO voltage, with up to a 6s rating, with plenty of filtering to give you the highest performance. Wiring kits will be available for all the most popular devices, so there is no need to solder anything, just plug and play. There will be extra pre-pined kits that allow you to customize for main different situations. We have even included an OSD and camera control on the latest Flight Controller. Setting up the RevoltOSD is easy. The solder pin layout is easy to read. Just solder the closest motors and the wizard handles the rest, you can put the Revolt in upside down and backwards just solder to the closest motor pad and the FlightOne wizards will handle the rest. The RevoltOSD also features DFU (sometimes DFU mode is required to get the latest bootloader and use software that we don’t write) free updating and a self-healing and updating bootloader, just in case something does go wrong.